Click here to access these readings. 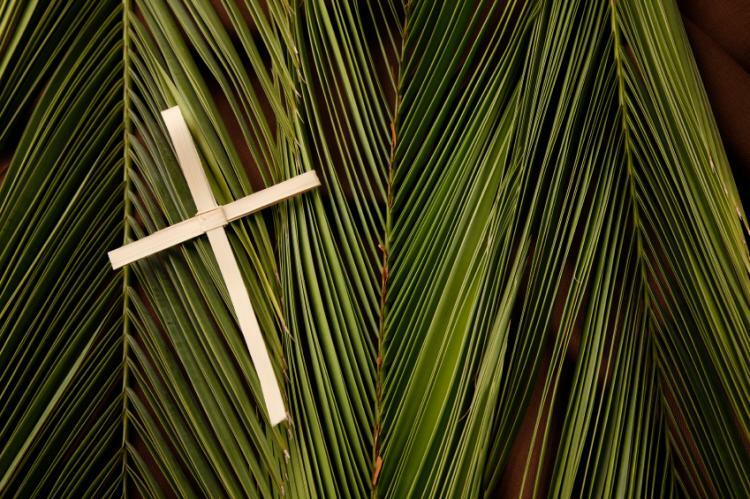 There is something troubling about Palm Sunday. I mean, generally, it’s a pretty fun day, and I’ve always liked it. I love processions, and I love the way palms feel when you wave them or bend them, or how they fray when you play with them too much. I like the dramatic reading, too, where it’s not just one person, or just me, reading the gospel, but everyone, even people in the pews. It’s a fun day, a good day, but there is also something troubling about it. “Crucify him! Crucify him!” It’s a horrid thing to say, and we are asked – not told or ordered, but asked – to say it, even to shout it. And on Palm Sunday, it’s not just a line in a book, or something that some other people said, but something that we say. And with such a thing on our lips, we are asked to turn an eye to the darkness in our own hearts. But isn’t it too much? We didn’t crucify Jesus – those other people, 2,000 years ago – they did it, not us. But, in truth, it wasn’t people who demanded Jesus hang on a cross – it was humanity. It was the humanity that we share with them. That darkness, that potential for hatred and evil, is also inside us as well. And it’s something that we look at today on Palm Sunday. And we should, rightly, remember and say, “But we are redeemed! Christ is alive in us!” And so he is, working out that great Salvation which no force on earth, above it or below it, can touch. And yet the darkness is still there, present, within our hearts, a darkness that can move our hearts so quickly, so suddenly, from praise and palms to hatred and the cross. We see it often in our world. And we see it, too often, in our own lives as well. All through Lent, and during Advent, I gave reasons why we do this: why we focus, for a time, on our own darkness, on penitence, and self-reflection. And I have done this because I think many people wonder why not just be happy? Why not just shout for joy to the rock of our salvation and be done with it. Well, because God didn’t. God didn’t just turn from the darkness to light. God looked death and hatred in the eye on the cross. He didn’t look away. God looked at the worse part of us possible, and he said, “I still love you.” And he’s asked us to do the same: with ourselves, with our enemies, and with all Creation. That’s a hard act to follow, you know? But luckily, we don’t have to be perfect at it. That love is given to us freely, whether we’re a perfectly loving person or not. So let us give it, and be it, to help God heal a broken and shattered world. Last week we heard the story of the prodigal son. We heard how a young man, having squandered his father’s inheritance, is welcomed home by that same father. I preached on the joy that this father must have felt, that sense of unbelievable joy and sense of wholeness at the return of the beloved. And this week I want to talk a little bit about joy as well, though a different sort. For this week we have the story of Mary washing Jesus’ feet with perfume and wiping it with her hair. These two joys are a sort of bookend to one another, or two different sides of the same coin. These two stories tell both of joy exuberant and joy in sorrow, something that I alluded to at the end of my sermon last week. Now, this week’s gospel reading is one of complete, unguarded love. You see, all along, Jesus has been telling people that he’s about to die, that he’ll go to Jerusalem and be killed, and that this is necessary for his work here on earth. But no one believes him. Everyone doubts him, tells him he’s crazy, or tries to shut him up. Jesus is alone; no one will listen to him. No one, that is, except for Mary. Mary gets it. Mary hears him. Perhaps the death of Lazarus shocked her into having a more open ear. Perhaps Mary has heard Jesus all along. Whatever the case, in this moment, she knows that Jesus will soon die – in six days he will die. And she wants to do something to show her love for him. And so she anoints him, not beginning with his head, where you would anoint a king, but starting with his feet, where you would begin to clean a corpse. For what Mary does here in anointing Jesus, and in the words that St. John uses when he describes the scene, show that Jesus is being marked for death. And marking him in this way, Mary gives up (she sacrifices) something extremely valuable and precious. Mary has lavished this costly gift on someone who, very soon, she knows will die. Why? Because she loves him, and she wants to show him that before he goes. And this act alone, this act of abject love, is a beautiful one, and one that we ought to sit with and pray with for a long time. This act is, though, in a very complex and complicated scene. A lot is going on here. On the one side is Judas, who, if he cares at all, thinks the best way to solve problems is to throw money at them. There is also Jesus’ comment that “the poor will always be with you”, a comment that’s often taken to saying that the poor don’t really matter, or that we can’t end poverty. But Jesus’ comment, instead, looks back to the fifteenth chapter of Deuteronomy, where laws are given for jubilee, and forgiveness, and the promises of peace and safety being extended to everyone, not just a few. The scene is actually a culmination of Jesus’ dedication to help the poor, the lonely, and the downtrodden. And all of this is important, but, first, I want to start with Mary’s love. Because this act of love, I think, says something very, very deep, and it says something that Jesus was trying to get everyone around him to understand: and that is that everything must begin in love. I think, often, we hide our hearts away. We see our hearts, and our love, as a bottle of pure nard, of something precious that we need to protect. “I can’t let this go,” we think. “It’s too important, it’s too fragile.” And so we hide it away. We keep it locked down deep. And we do this, probably, for good reasons. We’ve been hurt. Our love has been abused, and we want to protect our hearts from being battered, or misused, or ignored. But Jesus says: let it out. Don’t hide it like a candle under a bushel; let it out! And the image of love that he gives us here is of a woman pouring expensive perfume on a dead man. Will doing this save Jesus? No. Will is add one day, even one hour to his life? Probably not. It is pointless, perhaps, and certainly wasteful of good perfume, but often love is pointless. Love doesn’t always make a big splash in this world. But love isn’t always about doing something; love is about being, about not just being in love but about being love. I think about this when I think about the pets I’ve grown up with. I grew up with dogs, and the love they gave didn’t have a goal or a point. They didn’t love to get something (except food sometimes, but we can forgive them for that!). They didn’t love to prove themselves, or even to be loved back. They just simply loved because loving is the perfect way of being. And it’s an image of that same kind of love that we see in Mary at Jesus’ feet. And each of these images of love is a small part of the love that Jesus had for us on Good Friday two thousand years ago, when he hung on the cross, and the love he has for us now, each and every day. And Jesus says that this outpouring of love, this is actually what will heal the world. Not fix it, not tweak it like it’s some machine and not a group of human beings trying to figure out how to live together. No, not fix the world, but heal the world. We can’t “fix” humanity. Grief is a natural part of life, and, even though I really enjoy science fiction about the future, I really don’t think that science will get so good that we humans won’t need to worry about death. And while we can certainly alleviate the pain of the poor, there is no perfect form of government or society where everyone is happy. We can’t fix humanity to be perfect – but we can heal them. And we do this with the sort of outpouring of love that Mary shows us in our gospel story today and that Jesus spends his whole ministry preaching. Because that outpouring of love bonds people together much more deeply than our society, or our government, or even our families. This outpouring of love that Mary shows in washing Jesus’ feet, it bonds us together in God, who is love, and there is nothing stronger and more joyful than that. And it is from here, from this deep and all-encompassing love, that we can do great things. Jesus is dedicated to the poor, to the hungry, to the sorrowful, and to the lost, but he is dedicated to them not just in fixing their problems and sending them out, but loving them into the fullness of being. And that is the sort of love that we Christians are called to as well. This love, though, is not an easy love. It is the love of a man who has seen his son waste everything he is and yet is filled with joy when that son returns. It is the love of a woman who wastes something incredibly previous just to show her love for a man about to die. And it is the love of a man, who was not a man, but who was also God, who came into this world and died on a cross, just so that he could heal – fully heal – a wayward and lonely humanity. It is the love of God in Jesus Christ breathed by the Holy Spirit. And it is a love that is yours and ours and everyone’s for evermore. There is a joy to this story that Jesus tells, isn’t there? There’s a deep joy, an unspeakable joy, right there in those last words of the parable: “this brother of yours was dead and has come to life; he was lost and has been found.” It’s a joy that is reflected in the prayer at the end of the sacrament of confession and reconciliation. After the person confesses their sins and is absolved, the priest says: “Now there is rejoicing in heaven; for you were lost, and are found; you were dead, and are now alive in Christ Jesus our Lord. Go in peace. The Lord has put away all your sins.” The joy of the father in Jesus’ parable: it is an overflowing joy, one that doesn’t even listen to the elder son’s apology but is already calling for a feast and a celebration, that can’t even wait for everyone to gather before the party begins. It is a joy that breaks the heart and remakes it in the fullness of Life. But where does this joy come from? Well, in a way, it’s obvious. Anyone who has lost something dear to them knows this joy. Anyone who has loved something or someone more than anything else in the world can imagine this joy. Ever since I became a father myself, I’ve stopped seeing this story as a penitential parable, or as one about fairness and unfairness. The parable is certainly about these things, but my perspective has changed, and the parable has new meaning for me. Now that I am a father I can more easily imagine what it would be like for me if one of my children became estranged and then, suddenly, out of the blue, returned, unannounced and unexpected. It is a joy pure and open that the man feels, and that I would feel if I were him, and that I have felt (and surely, you too have felt) when something long lost has suddenly appeared. But even still, where does this joy come from? This is the question that the older brother asks of his father, and this question speaks pretty loudly. And we may ask: why is this elder brother so angry? Well, in Jesus’ time, a father’s inheritance meant a lot. This isn’t just the money or house that parents might leave a child when they die. This isn’t a few stocks and bonds in a bank. One’s inheritance represented something much more than a few material possessions. It represented, instead, one’s whole livelihood and connection to the past. A child relied on their parents’ inheritance, because going out and making it in the world wasn’t like it is today, where there are a variety of jobs, even if work is scarce. Inheritance was a connection to one’s family, to one’s past and one’s history before they were even born. An inheritance was about one’s name, one’s place in society and history, and one’s connection to the land. The young son didn’t just waste his father’s money, he squandered his name, his family, and his father’s love. Well, there is a distance between us and God. There’s something that separates us from our Creator. And part of this separation, this difference, is good: we aren’t just extensions of God. We’re not beings that God can control like a remote-controlled car. God gave us free will, so that we can choose for ourselves how to live our lives. God hopes, of course, that we choose a good life, a life lived to love, beauty, and truth. But, too often, we choose otherwise. We choose to do wrong to our neighbor and slander them, or cheat someone over, or sin, even when we know the right thing to do. We humans make bad choices, we misuse our free will, and we make a mess of things. And we, and others around us, have to pay the price. So, then, why do we do all this stuff for Lent? Why do we cover the crosses, get dressed up in purple and black, put ashes on our foreheads, and talk about carrying the cross? With life shining forth from the open hands of God, why not just take it? Well, in a word, we have. We have taken that light: in Baptism. And in the Eucharist. And in living as a part of a beloved community, the body of Christ that we call the Church. And it is this life, this joy, that we have received from God, that is purifying us and making us whole. It is Jesus Christ himself, born again within us, that is laying our hatred and our fear and our despair to rest. And all these practices of Lent are us reaching up and training ourselves to stand as God hopes for us to stand. And some of that work is tough, just as the tears of the father over the prodigal son are in utter relief, but also a little painful, too. Joy is not just an emotion. It’s not just being happy or glad. When we Christians talk about Joy, we mean something much deeper than our feelings. Joy is in the laughter but also the tears of a longed for home-coming. Joy is in caring for one another, through thick and thin, in the fun of life but also in the trouble and the tragedy. Joy is in saying hello well and in saying goodbye well. And that is because Joy is the light of God that sustains us, uplifts us, holds us, and makes us new. Joy is the open arms of God, open in Love, no matter how far we’ve traveled to get away from him, no matter how far we have to travel to come back. Sometimes, there’s not that much difference between our times and those of Jesus. This isn’t always the case, of course. First century Palestine was a very different place and time than 21st century Coquille. Not only were there no cell phones, but no phones, nor telegraphs, nor even an organized, national postal service. Life was more focused on the family, centered around farms and small towns. There were kings, generals, and emperors. And this is saying nothing of differences in culture or religious worship, everything from how they married and died to how they began a meal. Jesus was talking to a culture much different from our own, and it’s important to remember that when we try to understand what the Bible is saying. But the people of first century Palestine were human, and there are certain things that all humans struggle with. And one of these common human experiences is tragedy. What do we do when tragedy strikes? How do we deal with our sudden grief, our anger, our sudden, arrested hopes? How do we make sense of the world after a tragedy and, perhaps most importantly, how do we understand God in all of it? Who is God to us now that we’ve been through such grief? 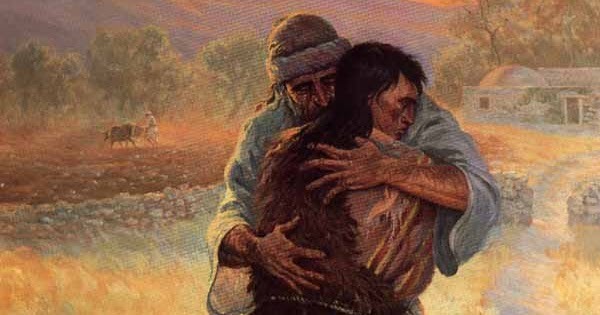 And people in Jesus’ time, just like people today, try to make sense of tragedy and, especially, of God’s role in (or God’s absence) from grief. We hear about a few such instances in our readings this morning, where people reflected on tragedy and asked, “Where is God in all this?” And just as we might wonder about natural disasters and accidents like the floods in Nebraska, earthquakes in Asia, tsunami in Japan, the people in Jesus’ day were wondering just the same things, here about a building that fell on top of people, killing eighteen of them. Such sudden accidents and disasters seem to have no reason behind them. People were just in the wrong place at the wrong time, or the weather just took a nasty turn, or the earthquake came from a place, and at a time, when no one expected it. The people in Jesus’ time, and a generation later in St. Paul’s time, were asking just this question. And their answer? Those people who were killed when the tower of Siloam fell on them? The Galileans who Pilate killed? Or those people destroyed by serpents? They must have suffered these tragedies, people were saying, because they deserved it somehow. They must have done something wrong, people thought, and these tragedies, they must have been some sort of cosmic backlash. It was their sin, people decided, that had led them into disaster. And this line of thinking, as I said, is natural. We humans love figuring out the reasons for things. We don’t just want to know “how” but also “why”. And our faith tells us that God is present in all things, working all Creation to the good. And if this is true, the thinking goes, then it must mean that God wanted these people to die. Tragedy occurs only to those who sin, those who “deserve” it. And so we end up blaming the victims and blaming God. But Jesus rejects this way of thinking. He challenges those who were gossiping about the guilt of those who Pontius Pilate killed, or about those who died when the tower of Siloam fell on them – Jesus challenges, and rejects, the idea that our tragedies have anything to do with our moral worth. Just as we don’t earn our way into Heaven, but are given salvation as a free gift of grace; so too we don’t earn tragedies and disasters by our sins. Our sins can hurt others, and hurt ourselves, and sins have a great effect on our community and society, but sins don’t necessarily cause towers to fall down or rivers to flood. So what, then, does Jesus ask us to do? We are still human, we still want to know “why”, and not just so that we can prevent tragedies from happening in the future. Humans are why to the bottom of Creation and back, and if we can’t blame ourselves or God, then what do we do in the face of these tragedies? Jesus doesn’t say blame, but he says “repent”, which in Greek is “metanoia”, to turn, or RE-turn, to God. This is the same turning we talked about with the baptismal covenant, where we turn from sin and doubt and hatred to love, joy, and grace in Jesus Christ. And this is our call, always, as Christians, that when tragedy strikes, whether it is the falling of a tower or a natural disaster, or even if it is something where a person can indeed be blamed, we are to return to God and refound ourselves in his eternal love. And this is why, on the day we read these stories from Luke’s gospel and St. Paul’s letter to the Corinthian church, when we read about people struggling to make sense of the world, our lectionary also has us read the story of the burning bush and how deeply founded God’s eternal covenant is with us human beings. Our God is not just so powerful that he can move us around like little pieces on a chessboard, but our God is that great being that is the beating heart of all reality. God, the source of all love and hope and joy and all good, true, and beautiful things, is where Jesus directs our gaze and the ground in which he firmly plants our wandering feet. And yet, we may still ask: sky do tragedies happen? Why do bad things happen to good people, or, if not just good people, then people simply going about their lives, good or bad, trying so hard to be happy? Many generations and many cultures have asked this question, and no one has come up with a perfect answer. But what we do know is this: that Jesus cried at the grave of Lazarus, that God is present with those who are sick, or who mourn, or who grieve, and that after death Heaven shines with a radiant light that knows no sorrow. When we face tragedy, or death, or despair, Jesus says, do not blame. Do not seek reasons in the moral worth of others. Turn to God, for God will not just make your sorrow or doubt disappear, but will plant it firmly in the rich soil of true reality. And there, in the light of Heaven itself, we may find healing, and reconciliation, and hope. I want to begin my sermon this morning with thanks. As you know, we flew to New Jersey rather suddenly on a family emergency, and your prayers and words of care were present at every step of the way. In our weekly emails this past week, I wrote a bit on how your prayers and presence during this time of grief grounded us, and I want to say it again, aloud: thank you. In times of death, everything seems unstable and in flux. Your prayers helped us feel and experience God in our grief, and they reminded us of the loving community here in Coquille to which we would return. And, now, with this sudden trip, I missed the beginning of Lent with you all, and so this sermon will be, in part, a start-of-Lent sermon, but I also want to talk a bit about community, and especially the loving community that we call the Church (capital “c”) and our own church (lower-case “c”), St. James’. We the church, in both senses, are the Body of Christ on earth, and that church is here to care for and love one another and the world into God’s presence. The things that we do – the prayers we pray, the sacraments we celebrate, the ministries we do – all of it is done to lift all humanity and this entire world into the presence of God. And if this seems a great thing, well, it is: for the Church is a miracle, a living miracle of Jesus Christ that turns away from darkness and despair and turns to the light and love of our Creator. And this miracle renews people’s lives, and it renews the world. Lent is no different. Lent is also about community/ This might seem a surprise. Lent, as I’ve said, is about contemplation, discipline, and penance, and things like contemplation, discipline, and penance seem like things that we do alone, outside of community. The forty days of Lent – that specific number forty – remembers Jesus’ time of temptation in the desert, where he was alone. If you remember a few weeks back, I printed an image of Jesus in the desert on the front of our bulletin. He sat on a rocky ground, his back hunched over, his hands clasped together, his brow dark. And our own times of darkness are those when we feel alone, either from others or from God. If Shrove Tuesday, or Easter, or Christmas seem like parts of the Christian year where we celebrate as a church, Lent may seem like it’s that part of our tradition that we do on our own. But this is only seeming, for Lent is truly about the rebinding and the refounding of community. Lent has many roots, but two of the major roots are the preparation for baptism and the rejoining of penitents. So here’s a short history lesson. In the past, the Easter Vigil was the singular time for baptisms, which is why we are baptizing Fiona this Easter (and not on, say, Pentecost, or All Saints’ Day). And this makes sense. What better day to bring someone into the Church than the day that we remember when the whole world was brought into the full glory of God’s grace in the Resurrection of Jesus Christ from the dead. 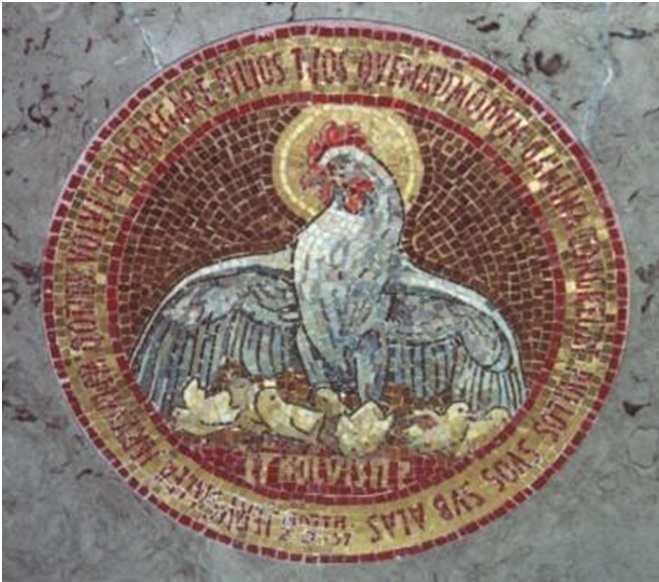 Easter is the world’s second birthday, when the whole cosmos was born again into the light of Christ. And we celebrate this, in part, by bringing new Christians into the Church, into our community, into that body of faithful and hopeful people, who, as it says in Acts, continue in the teaching of the apostles, the prayers, and the breaking of the bread. The other root of Lent I mentioned is the rejoining of penitents. You see, there were times in the Church’s history when certain people who had committed a crime were barred from receiving communion. Such crimes were often a public scandal or some particularly heinous act against the community and the Church. Such people, however, were admitted back into the Church by observing a time of penance. Nor was this penance done alone, but together with members of the community to guide them, and it involved frequent prayers and discipline. This penance came into focus during Lent, and after the forty days, these penitents were readmitted to the community of the church at the Easter Vigil, when they would again join in the Eucharistic feast with their brothers and sisters in Christ. Now, in the Church today, and especially the Episcopal Church, we don’t observe these bits of culture. Baptisms can happen at any time (Gwendolyn was baptized on All Saints’ Day; I think I was baptized some time in the middle of February), and we don’t really excommunicate people anymore. But what these bits of cultural heritage did give us is a sense that Lent is about the reforming and refounding of community. It is a time when we don’t just take on disciplines to make ourselves better in some vague way, or when we beat ourselves up because (sarcasm) we sinners really deserve it. We do all this because we are preparing for Easter, when we remember when the world was saved from sin and death, sorrow and grief, when we find again the gifts of grace and joy and love planted deep down in our hearts, when we see that all the world is alive with the promises and expectation of the Living Christ – and we want to do all of this together, as the Church, as one body in Jesus Christ our Lord. Lent is a time of gathering and it is a time of collecting together. And we are reminded in our gospel reading this morning that it is not we ourselves who gather together on our own will and initiative. It is Jesus who gathers us, and not just to gather us and have us all in a single, nice, convenient spot, but so that he may guide us and protect us and love us into Being – together. It is Jesus who calls us out of our loneliness and our despair, who opens his arms wide and says there is goodness and love beneath my wings. 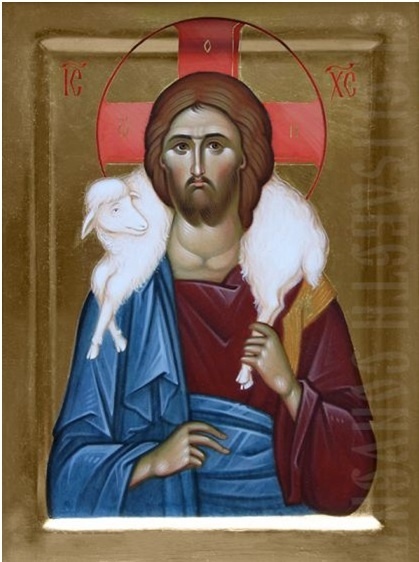 Come, Jesus says, come and open your hearts and let me love you, my brood, my flock, my people. And we are those people, you are those people, who live under the wings of God. And in that love there is healing, and not just healing that sets us back up on our feet and sends us on our way, but a healing that lights a fire in our hearts and our minds and our spirits. It is a fire lit on the day of our baptism, and it is a fire that was lit two thousand years ago on that first Easter morning when the tomb was found empty, and it is a fire lit, a wind breathed out over the chaos, however many billion years ago when all the universe was Created. It is the fire of God Almighty. And our work here in Lent is to turn towards that light and accept it into our heart of hearts.